Dr. Linda Tao is a double-Board Certified physician in Cardiovascular Diseases and Internal Medicine with over 20 years of experience. She specializes in functional medicine and regenerative cardiology, offering the best possible long-term outcomes for her patients through advanced, data-driven and personalized treatment strategies. Dr. Tao has been on the teaching faculty at the New York University School of Medicine for the past 24 years. She currently serves as a Clinical Assistant Professor of Medicine at NYU Langone Medical Center, where she pioneered the first lectures in Integrative and Functional Medicine for NYU medical students. She is an official investigator at the NYU Langone Medical Center Site for the NIH and NHLBI-sponsored Trial to Assess Chelation Therapy (TACT 2 Trial) to assess the impact of the removal of heavy metals on cardiovascular disease management. Dr. Tao began her medical training at the University of California, San Francisco School of Medicine and completed her internship, residency and fellowship training at NYU Langone and Bellevue Hospital Medical Centers. She is a Lyme literate practitioner and a member of ILADS. She is also trained in Autonomic Response Testing and practices European Injection Techniques to enhance healing and disease management. In addition to completing an Advanced Fellowship in Metabolic and Nutritional Medicine, she is also versed in the use of intravenous therapies for enhanced health and healing. 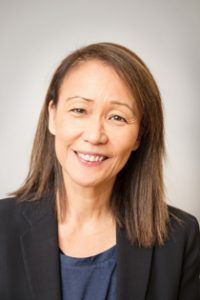 Dr. Tao is an experienced and devoted patient-doctor relationship advocate, who harnesses the latest advances in medical science and technology to co-design health solutions with her patients. She is proficient in English, Chinese (Cantonese and Mandarin), and medical Spanish, and is experienced in treating diverse patient populations from around the world. We are pleased that Dr. Tao now brings her extensive experience and advanced medical training to the Morrison Center.